Our Understanding Hospice blog series is dedicated to bringing readers the information they need to determine if hospice care is a viable option for their situation. We tend to fear the unknown and the dying process is pretty much an unknown to most of us. On top of that, there’s a tremendous amount of misinformation and myths that patients and even healthcare workers believe about what hospice is and does which can worsen these fears. Today, we hope to ease some of that anxiety by dispelling common myths about hospice care and providing truths on which you can base a sound decision regarding your care or that of a loved one. Reality: Hospice is not a place, but a concept of care that focuses on comfort for the patient rather than a cure. Hospice care usually takes place in the comfort of an individual’s home, but can also be provided in any environment in which a person lives, including a nursing home, assisted living facility, or residential care facility. Reality: Receiving hospice care does not mean that death is imminent. Hospice care is typically suggested when a physician determines a patient with a life-limiting illness has six months or less to live. Hospice care can and does, however, extend beyond this initial period as long as the patient continues to meet the criteria. The earlier an individual receives hospice care, the more opportunity there is to stabilize a patient’s medical condition and restore quality of life. Reality: When faced with an advanced terminal illness, hope evolves. The hope for a cure evolves into the hope to be without pain, to be at home with loved ones and to be at peace when the end arrives. Hospice can help provide all of those things which in turn helps people reclaim the spirit of life. Reality: When in hospice care, the focus shifts from curative to providing pain relief, symptom management and support for patients and their families. People die while in hospice care. They die, however, from their disease process, not because they are receiving hospice care. 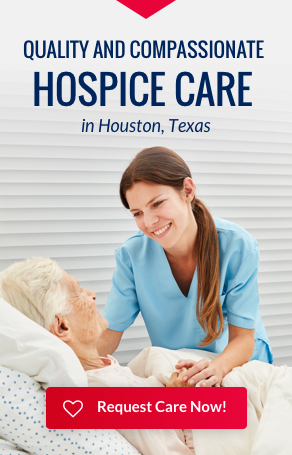 Hospice honors a natural dying process while aggressively managing pain. Morphine and other drugs are given to patients, not to hasten death but to provide them with physical comfort. People often live longer than expected in hospice care. Unfortunately, many times physicians and families may wait too long to make the referral and patients spend only a few days in hospice care before they die, which only reinforces the belief that hospice speeds up the dying process. Myth: Hospice is for cancer patients. Reality: A large number of hospice patients have congestive heart failure, Alzheimer’s disease or dementia, chronic lung disease, or other life-limiting conditions. Myth: Patients can only receive hospice care for a limited amount of time. Reality: Hospice services may be provided to patients with a terminal illness with a life expectancy of six months or less. However, if the patient lives beyond the initial six months, he or she can continue receiving hospice care as long as the attending physician recertifies that the patient is terminally ill. Medicare, Medicaid, and many other private and commercial insurances will continue to cover hospice services as long as the patient meets hospice criteria of having a terminal prognosis and is recertified with a limited life expectancy of six months or less. Reality: The hospice team (which includes doctors, nurse practitioners, nurses, social workers, home health aides, and chaplains) visits patients on a scheduled basis according to the individualized care plan developed in conjunction with the patient and family. While hospice staff is only a phone call away day and night for support and care, the patient’s family is responsible for providing the remaining care needed. Most hospice care in the United States is provided in the home, with family members or friends serving as the main hands-on caregivers. Reality: Hospice focuses on the comfort, dignity, and emotional and spiritual support of patient families as well as the patients. The quality of life for the patient, family members and other caregivers, is a basic tenet of hospice care. Reality: Although coverage for hospice is available through Medicare and in 44 states and the District of Columbia under Medicaid, most private insurance plans, HMOs, and other managed care organizations include hospice care as a benefit. Reality: The role of the physician is to recommend care, whether hospice or traditional curative care. It is the patient’s right (or in some cases, the right of the person who holds power of attorney) and decision to determine when hospice is appropriate and which program suits his or her needs. The hospice medical director reviews each patient’s condition and determines if the patient is eligible for hospice care. Reality: Hospice care is often appropriate when an advanced illness is present, regardless of the patient’s physical condition. Many of the patients served through hospice continue to lead productive and rewarding lives. Myth: Once a patient elects hospice, they can no longer receive care from their personal physician. Reality: Hospice reinforces the relationship between patient and primary physician by advocating either office or home visits, according to the physician preference. Hospices work closely with the primary physician and consider the continuation of the patient-physician relationship a priority. 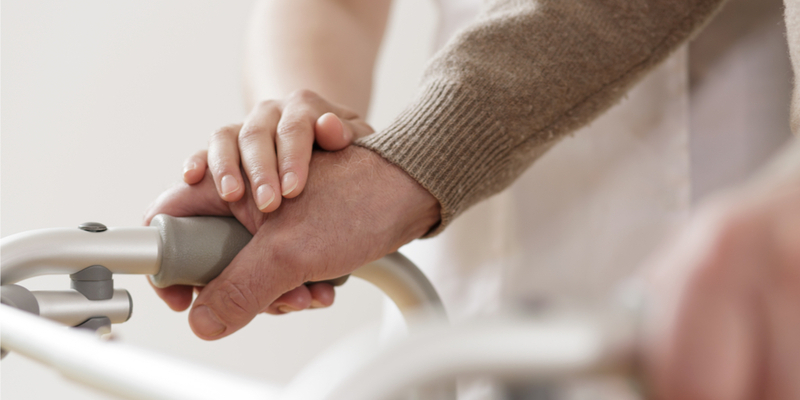 In many instances, patients actually get more care rather than less while in hospice care. Myth: Once a patient elects hospice care, they cannot return to traditional medical treatment. Reality: Patients always have the right to reinstate traditional care at any time, for any reason. If a patient’s condition improves or the disease goes into remission, he or she can be discharged from hospice and return to aggressive, curative measures, if so desired. If a discharged patient wants to return to hospice care at a later time, Medicare, Medicaid, and most private insurance companies and HMO’s will allow readmission. While death is inevitable, it doesn’t have to scary or painful. At the heart of hospice care is the belief that each of us has the right to end our journey comfortably and with dignity, and that our families will receive the necessary support to allow us to do so. Please contact us if you have questions about hospice care. Additionally, you can always browse the other topics in this blog series, Understanding Hospice, for more information. Accredited Hospices of America is pleased to provide “Understanding Hospice”, a blog series geared toward providing people with life-limiting illnesses and their families a solid knowledge-base to help them make informed decisions. If you Like our FaceBook page you’ll know when we’ve posted a new article on our blog. Feel free to request a blog topic on our FaceBook page as well.